I don’t know what other people said about the MV, but i pretty much disliked (even close to hate) it. I get that the whole idea of Ignorant King turned Better King was a pretty good plot, but the way the MV was planned out (as clear as the message was), it didn’t feel creative or artistic. Jo Kwon as a ballad singer is full of emotions and charisma, but when he is smiling and dancing happily, i can’t help but link it all to his image as Kkap Kwon, and that’s where the problem lies. That crazy, silly and hilarious image of him has stuck with me so much so that i can’t take him seriously when he isn’t doing ballad (or at least try to act cool). Seeing him bounce around in the MV just made me think of it as a children’s programme. Not to mention that the background and set of the MV contrasted drastically with his ever-shiny image (hair colour and all). It was as if a comic book character got lost in a thriller movie. Seriously. Not Cool. Did i mention that the choreography was pretty much child-like too? The song was pretty much a summery song with it’s happy tones and major chords. As a cheerful song it scored 10 but as a title track, it fell short to really impress me. The song itself isn’t the problem, it was my expectation. This sort of song feels more like it belongs on a company’s artistes collaboration album (something like SMTown). Knowing how good Jo Kwon’s vocals are, giving him a whole chorus of auto-tune just doesn’t sit right with me. I definitely thought ‘Animal’ worked as a more charismatic title track, though i haven’t seen any choreography on MV of it, it sounds more powerful than ‘I’m Da One’ (but it’s still not good enough). And as much as i can’t imagine Jo Kwon doing happy without thinking of Kkap Kwon, i think i can still handle dramatic but charismatic Jo Kwon. At least i can take him seriously. Did i just hear him rap? Well, if you’ve watched all episodes of WGM of Ga In and him, you would know how talented he is, even in rap (refer to episode where Jea made Jo Kwon rap). 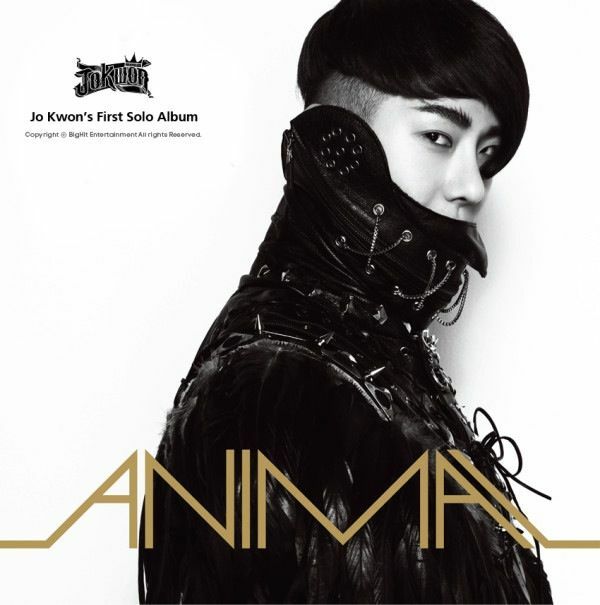 With this solo album, Jo Kwon steps out of his ballad comfort zone and throws at us something new from him. 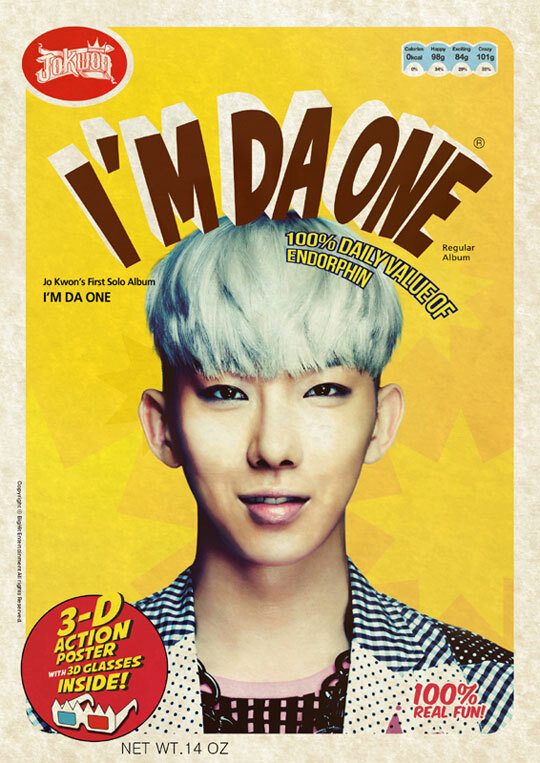 Nevertheless, i think the people in charge of this album weren’t looking deeper into the image of Jo Kwon most kpop-ers already have of him. Even though i know that music shouldn’t be affected by the likes of variety, the MV and concept can’t help but get dragged into the k-variety, especially when the kpop music industry is so closely linked to it.